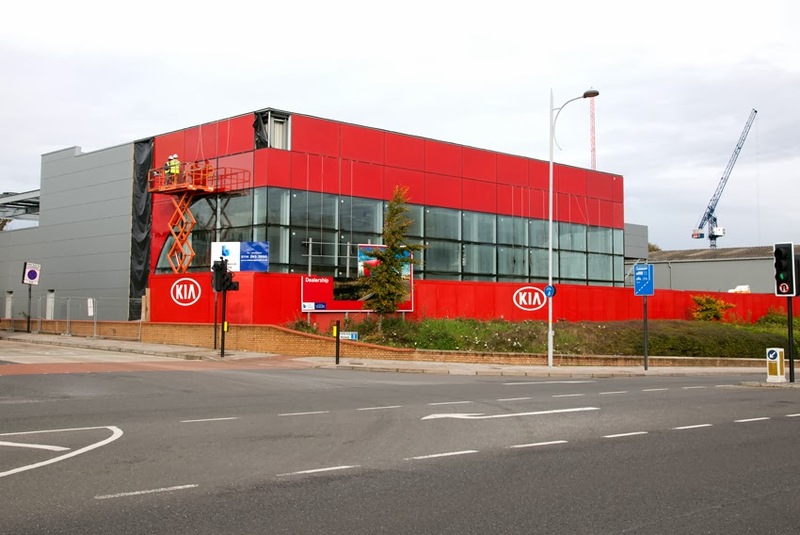 Beadles Group Ltd. has been confirmed as the new dealer partner for Kia's new Red Cube dealership in Coulsdon. 'Beadles' will be boosting Kia sales in the South London area with the opening of a new 3,430 sq m dealership and creating a number of jobs in the area. With standout design and a high profile location Beadles will also be one of the first Kia dealership that has fully utilised renewable and low carbon technologies throughout. Established in 1915 the multi-franchise group Beadles, has almost a century of history in Kent and South East London and is scheduled to be open for business at its new Kia dealership in February 2014, in a prime location on Gateway Business Park, Coulsdon - opening in time for the launch of the new '14' March registration plate. This is the first venture between Kia Motors UK Ltd and the Beadles Group. "We are delighted to be joining forces with Kia, their wide range of cars with head turning styling and Beadles tradition of quality products and class leading customer service coupled with the amazing design of this new dealership will really highlight that Kia and the Beadles Group have arrived in Coulsdon," said Richard Johnson, Group Managing Director of Beadles. 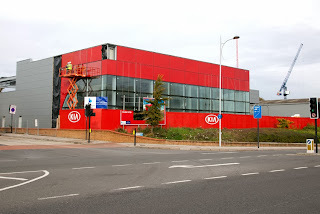 With a prime location in Coulsdon the Beadles dealership is purpose built to the Kia Red Cube corporate identity. Covering 3,430 sq m of space on the Gateway Business Park, Coulsdon, the dealership comprises of an 11 new car showroom as well as 79 bays for used cars. Kia owners will be well serviced with a 583 sq m workshop with MOT and eight dedicated service bays - capable of over 200 services a week. Coming to view a new or used Kia won't be an issue for customers with ample customer parking spaces and a total of 123 car bays cleverly built around the site utilising every available space - even the roof, where there are 181 solar panels built in to help power the building. Parking in the colder months won't be an issue either with waste heat generated by the new Heat and Power Plant on site used to heat the car parking ramps. "South London is an important area for Kia and one that we are keen to expand into. The Beadles Group has a strong history in the Kent and London area and we are delighted to be working with them. Their strong focus on customer service is one that reflects the Kia brand and we are sure that the dealership in Coulsdon will be a successful venture between us in serving Kia owners and new customers in South London," said Simon Hetherington, Kia's Business Development Director.